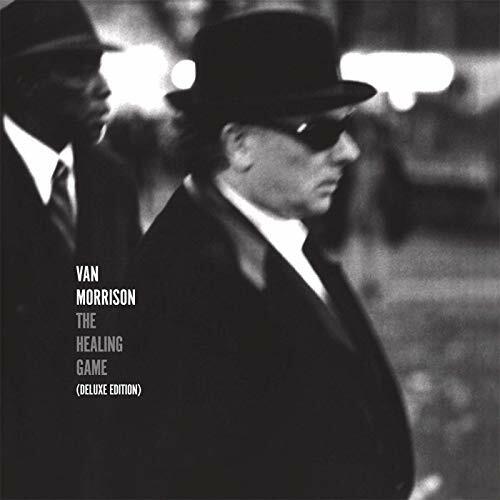 Legacy Recordings will reissue Van Morrison’s The Healing Game (Deluxe Edition), on March 22, as a three-disc collection chronicling the sessions, collaborations and live performances surrounding the album, originally released in March 1997. Listen to several tracks below. Among the extras are five previously unissued tracks with Carl Perkins. The Healing Game (Deluxe Edition) will be available in 3-CD plus a 1-LP 12” vinyl edition of the (long out-of-print) original album (minus the bonus tracks). “Disc 3—“Live at Montreux 17 July 1997,” according to a press release, finds Morrison “at the peak of his on-stage powers soulfully roaring through an extraordinary live set,” featuring songs from The Healing Game alongside hits and personal favorites from his catalog; covers of Ray Charles (“Fool For You”), Anthony Newley (“Who Can I Turn To [When Nobody Needs Me]” and Sly Stone (“Thank You [Falettinme Be Mice Elf Agin])” and more. Live at Montreux is officially available for the first time on The Healing Game (Deluxe Edition).